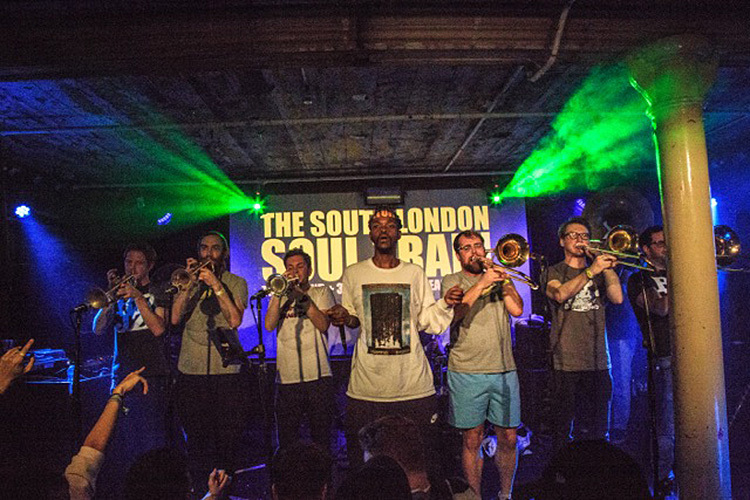 The three rooms over two floors proffered at the (thrice) monthly discotheque – South London Soul Train – offer a specific selection of funky, groovy, brassy and soulful music. For me, it’s a go-to event where you can certainly find space to dance and “let go” in a happy and upbeat environment. One room offers a place designed more for groups of friends, with soul classics being DJ-ed throughout the night, hosted by Latin specialist Snowboy and resident DJs Perry Louis and Dean Rudland – a perfect opportunity to groove to deep soul music whilst catching up with your friends and dancing together. The main floor plays host to the artist stage. This Saturday the stage exploded with the Riot Jazz Brass Band boasting an impressive three trumpets, three trombones and a tuba, as well as their drummer and singer. They played covers of everything from soul, to hip-hop, to garage, all impressively with acoustic instruments that filled the room with such epic energy. I enjoyed the band chatting away with the audience too, creating a community feeling as everyone chatted and danced together. A highlight was when the brass band played a cover of a song from The Jungle Book. The final Rye Wax basement room played some easy-moving house music throughout the night and had a good crowd coming and going with host Rob Messer and Oscar Romp and my personal favourite, Dom Servini of Wah Wah 45’s – who you can catch at every other event. South London Soul Train always attracts a demographic ready for dancing, smiling and chatting. It’s one of those places where no one checks the time, and you’re surprised when the curfew hits and it’s time to leave the dance floor. As they say, “we want to funk your life up – in full force”. 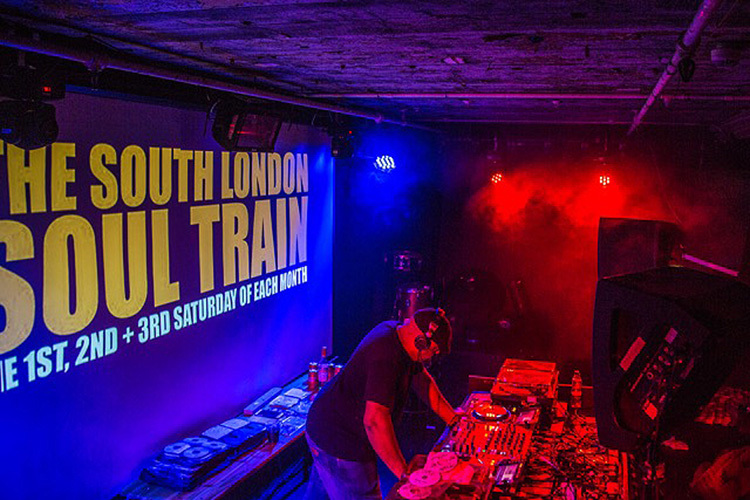 They always have a few hundred tickets on the door too, so it’s worth popping down on a Saturday – the atmosphere is inevitably cheering…all aboard the Soul Train.